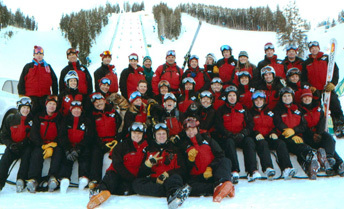 Deer Valley’s Ski Patrol is comprised of seventy full-time and part-time professional patrollers. The resort encompasses six separate mountains with a patrol shack located on each peak. 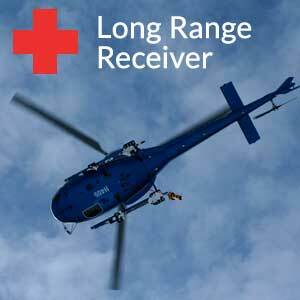 Each mountain is staffed with anywhere from three to seven patrollers on a given day. 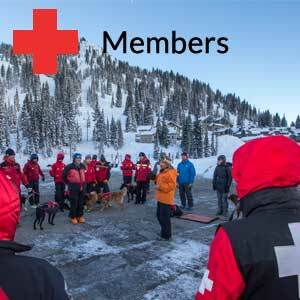 The patrols primary responsibility is to respond to all in bounds injuries and requests for assistance, evaluate and mitigate all avalanche hazards and put in place and maintain all safety precautions necessary. The patrol also willingly assists with any backcountry accidents or injuries and offers medical, avalanche rescue, transport and extrication support as we are able. 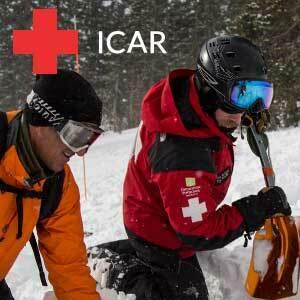 Within the avalanche rescue resources the resorts maintains are four working avalanche search and rescue dogs. Izzy is our oldest dog at 12 she is a black lab mix, "B" certified and is handled by Jessie Thompson and Patrol Supervisor Kyle Rosenberger. The resorts 7 year old lab pointer mix Ninja is "A" certified and handled by Avalanche Mitigation Supervisor Sue Anderson. Rooster is our 4 year old "A" certified red-heeler mix and is handled by Patrol Supervisor Mark Chytka. Our newest candidate is under a year old, a black and tan lab/golden retriever mix handled by Ski Patrol Supervisor Nick Barretta. Izzy was rescued from the Salt Lake County shelter after showing great promise during puppy testing. Ninja came from a farm in Roy and Rooster was rescued from Nuzzles. Our newest candidate came from a litter in Coalville. All of Deer Valley’s rescue dogs are owned by their individual handlers but receive financial support from the resort in the form of food, medical expenses, funding to attend trainings and other miscellaneous training necessities. 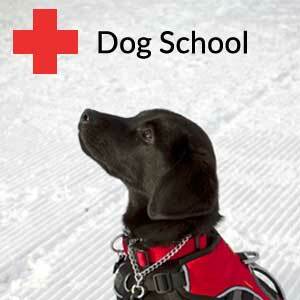 The training of the resorts rescue dogs includes both on and off mountain work as well as constant obedience. The dogs and their handlers have traveled to and attended various dog schools including Steven’s Pass in Washington state, and both Whistler and Kicking Horse in British Columbia and Switzerland.